Since when has Mark & Spencer been the arbitrator of taste for the British? Who are they to decide that their customers won't want basic white bread anymore? It's been the staple diet of the British since the industrial revolution but M&S have decided it is on the way out, replaced by speciality loaves and alternatives baked with extra fibre and vitamins. Just who do they think they are? 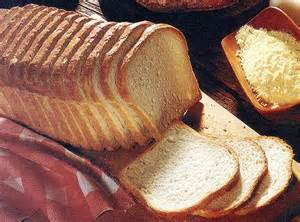 Amid falling sales of the traditional white loaf. Marks & Spencer is claiming in the UK press to be the first major grocery retailer to 'banish' basic bread from its shelves. In future, it says, all of its bread and rolls, including standard white loaves, will be baked with extra fibre. It is reported that the company has already started adding extra vitamin D to its baked goods after research revealed that half of Britain's adult population are deficient. Normally produced by exposure to sunlight, vitamin D is vital for healthy bones in children and adults. So they are doing it for our own good? A spokesperson for M&S is reported to have said that the change is in response to growing customer demand for what they call 'breads with benefits'. They say they are helping their customers boost their intake without having big changes to their diet. What they fail to say is that M&S sells nearly a quarter of Britain's ready meals! How is this affecting customers diet?? As one would expect, nutritionists welcomed the move away from basic 'fluffy white bread' to healthier alternatives amid concern that many people lack fibre in their diets. I doubt the type of people who can afford to shop for food at Mark & Spencer lack fibre! I read that increasingly, the traditional white loaf has been falling out of favour (or should I say 'flavour') with consumers. More than £40 million was wiped off sales of traditional white bread last year, triggering a retail price war which saw an average of 15p off a large loaf normally costing £1.15. 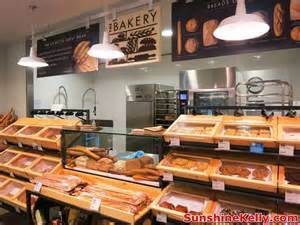 Reasons for the decline are easy to deduce - the growth of in-store bakeries, a 14% decline in children taking sandwiches to school and the growing popularity of speciality breads with higher fibre content. (And no, not the increase in home baking brought on by the Great British Bake-Off!). 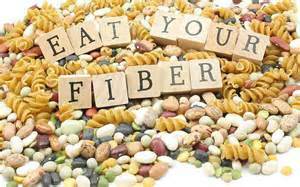 Fibre helps to reduce cholesterol levels and aids the digestive system and is linked to improved heart health and reduced risk of type 2 diabetes. It makes a change to hear more about the need for fibre rather than the effects of salt and sugar in our diet. Sadly, while white bread was originally reserved for the wealthy ancient Romans, while the poor ate rough, brown bread, nowadays the cheaper basic white bread is purchased by the average consumer, with whole grain brown bread popular among the health conscious and wealthy. And they are M&S customers!